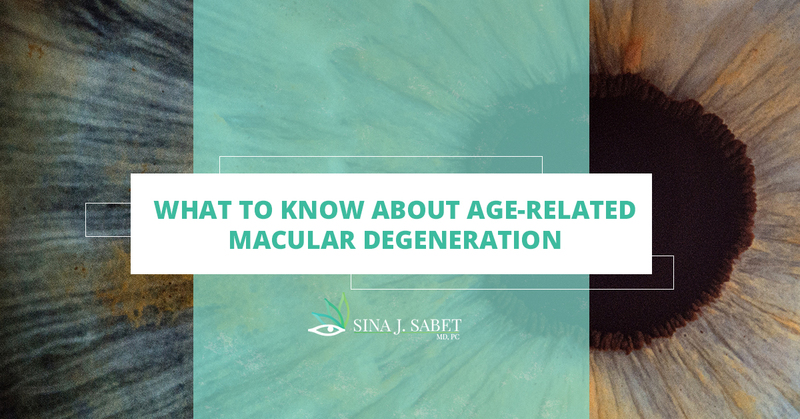 The last few blogs have been going over some of the most common eye conditions, and in this blog we’ll be discussing age-related macular degeneration. Other conditions we covered were open-angle and angle-closure glaucoma, cataracts, and diabetic retinopathy. Dealing with any of these eye conditions can be scary, but with the guidance and compassionate treatment from Dr. Sina, your local Alexandria ophthalmologist, you can be confident that you are in very capable hands. Dr. Sina is certified by the American Board of Ophthalmology and the National Board of Medical Examiners. Learn more about our eye doctor here. Typically affecting people over the age of 50, AMD causes damage to the macula, which is a part of the retina. The macula controls the sharpness of vision and allows us to see objects that in our central vision. Early AMD: The beginning of AMD can be diagnosed when yellow deposits are seen under the retina. These yellow deposits are called drusen, which are fatty proteins that increase the risk of developing AMD. At this point, vision loss is rare. Intermediate AMD: As the disease progresses, the drusen get bigger and there may be changes in color in the retina. Symptoms of vision loss may occur at this point. Late AMD: At this stage, it is common for patients to experience vision loss due to damage of the macula. There are two types of late AMD: dry and wet. Dry AMD is caused gradually when light-sensitive cells in the macula begin to break down. This results in vision loss. 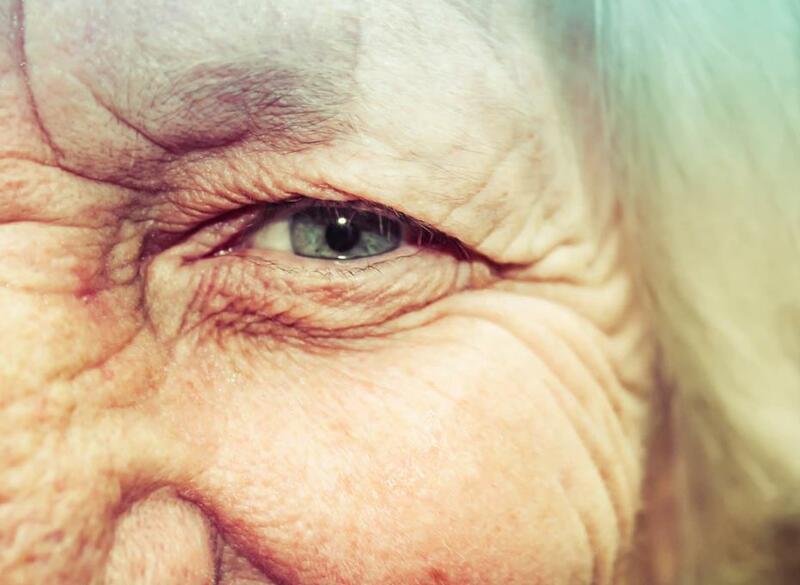 Wet AMD occurs suddenly when abnormal blood vessels begin to grow below the retina. The blood vessels may lead fluid and blood, leading to swelling of the macula. The macula is affected the most with AMD, so objects that are close up or straight ahead will appear blurry or hazy. You may need additional light when reading and it can be difficult to adjust going from bright light to low light. When the disease progresses, you may experience dark or blank spots in your vision and other distortions may appear, such as straight lines appearing wavy or objects looking smaller or larger than they are. If you experience changes in your vision, however small, schedule an appointment with an ophthalmologist right away. The sooner this condition is diagnosed, the faster treatment can be put in place. Keeping a diet full of vitamins C and E, beta-carotene, and zinc may help reduce the risks of AMD developing. This means eating plenty of fruits, vegetables, leafy greens, and nuts. Dry AMD is more common; however, wet AMD is more severe and so it causes around 90 percent of vision loss in those patients. 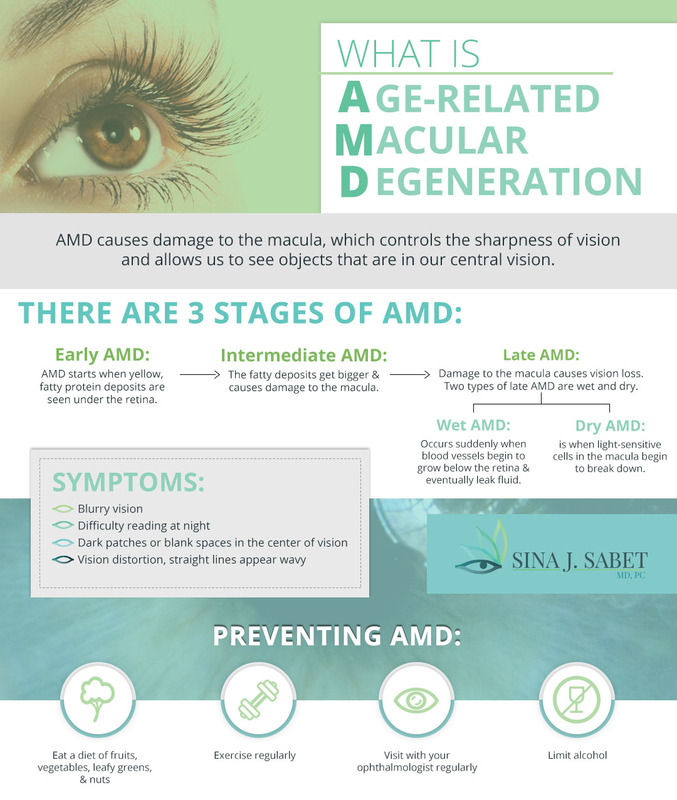 If you have a family history of AMD, there is an increased risk of developing AMD. When you visit an ophthalmologist, include a detailed family history if possible. To help prevent AMD from developing, limit alcohol, quit smoking, try to maintain a healthy weight, and wear UV absorbing glasses when you are outside. If you have noticed a change in your vision, be sure to schedule a visit with Dr. Sina today. A complete eye exam will show any signs of age-related macular degeneration and we will put a strategy in place to slow down its progress. If you have any questions, please get in touch with our eye doctors today.